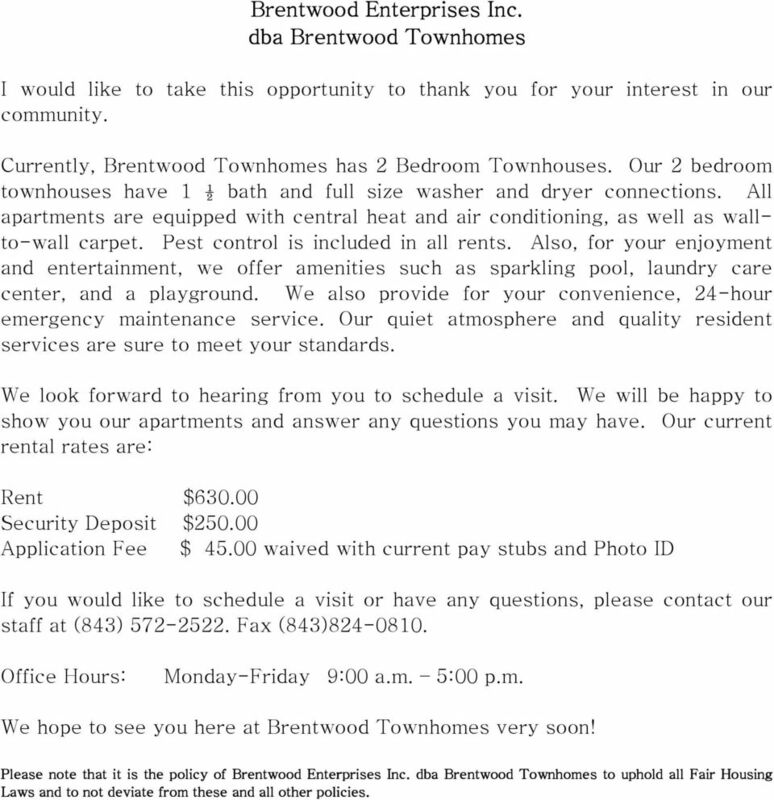 Download "Brentwood Enterprises Inc. dba Brentwood Townhomes"
1 dba Brentwood Townhomes I would like to take this opportunity to thank you for your interest in our community. 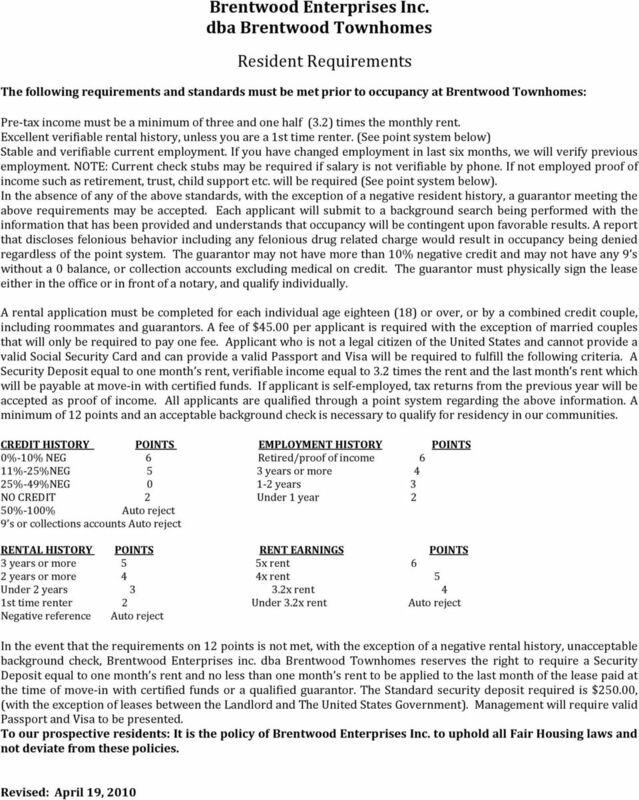 Currently, Brentwood Townhomes has 2 Bedroom Townhouses. Our 2 bedroom townhouses have 1 ½ bath and full size washer and dryer connections. All apartments are equipped with central heat and air conditioning, as well as wallto-wall carpet. Pest control is included in all rents. Also, for your enjoyment and entertainment, we offer amenities such as sparkling pool, laundry care center, and a playground. We also provide for your convenience, 24-hour emergency maintenance service. Our quiet atmosphere and quality resident services are sure to meet your standards. We look forward to hearing from you to schedule a visit. We will be happy to show you our apartments and answer any questions you may have. 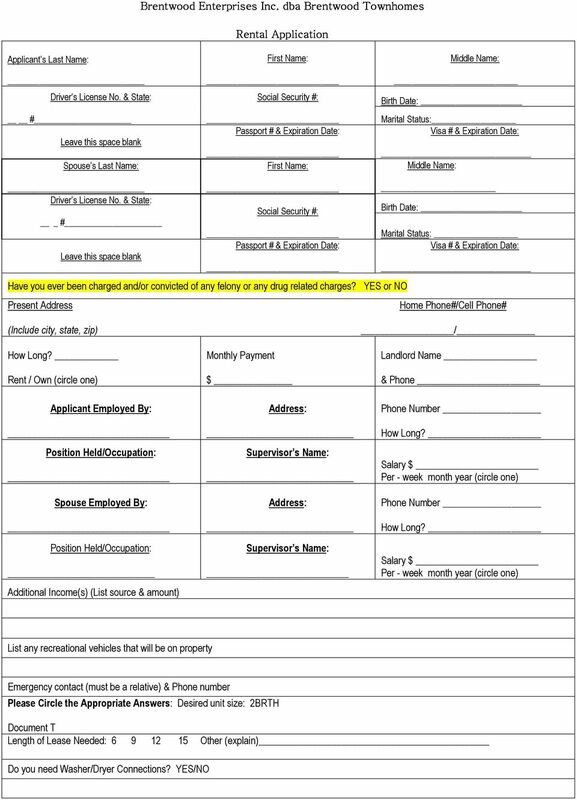 Our current rental rates are: Rent $ Security Deposit $ Application Fee $ waived with current pay stubs and Photo ID If you would like to schedule a visit or have any questions, please contact our staff at (843) Fax (843) Office Hours: Monday-Friday 9:00 a.m. 5:00 p.m. We hope to see you here at Brentwood Townhomes very soon! 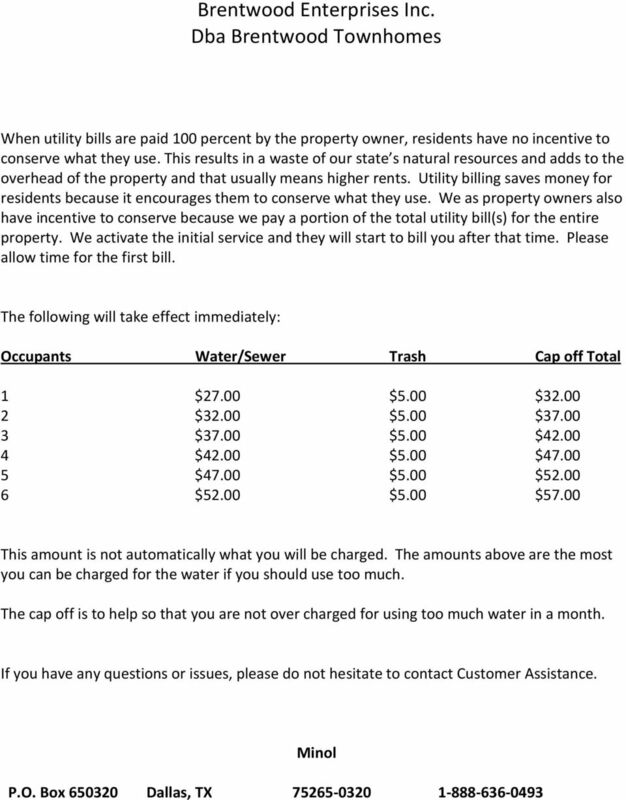 Please note that it is the policy of Brentwood Enterprises Inc. dba Brentwood Townhomes to uphold all Fair Housing Laws and to not deviate from these and all other policies. SAVE. Print this coupon and bring it with you to any Resnick Leasing Office and we will waive the $50.00 Application Fee. 5. 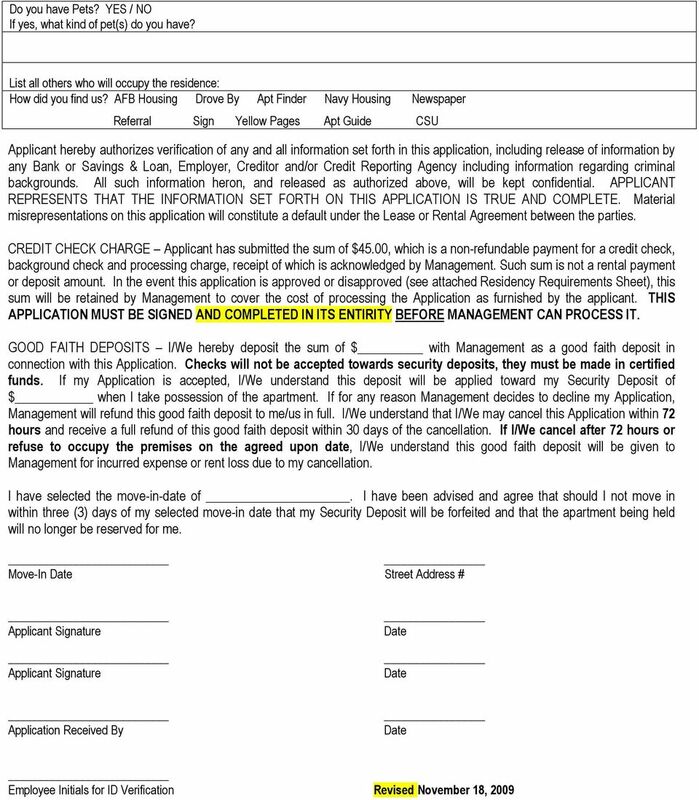 Upon submission of Application Fee(s) and Security Deposit, we will run a credit check on all adult household members.